SPNC is a Beirut based company with more than 40 years in the making and a track record of learning and communication excellence. SPNC has provided its expertise to numerous local, regional and international institutions, and to thousands of secondary and university level students. It has also produced innovative content and learning & communication methodologies adapted to diverse fields and contexts. SPNC offers learning & communication expertise and solutions in a changing digitally dependent and glocal world. 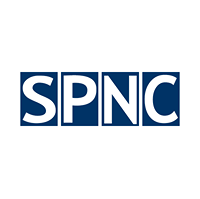 SPNC’s approach is learner’s/client’s centered, and its added-value includes recognized and awarded multidisciplinary/multinational experience, creativity/innovation, and excellence. We develop digital communication strategies that broaden reach and expand organizational impact. Through close collaboration, and based on knowledge, experience, contextual practices, and methodologies, we craft a strategy aligned with your brand objectives, business goals, and internal/external communication culture. We offer copywriting services and create professional custom content for academic and non-academic audiences in English, French, and Modern Standard Arabic. In addition, we offer art direction services that are aligned with the creation of written content. We combine the four-fold powers of academic/scientific research, writing, creative endeavor, and data analysis. Our training solutions are developed by subject matter expertise to help organizations, communities, and individuals improve competence and skills. We provide innovative learning solutions through group workshops, private individual face-to-face sessions, and e-Learning environments. In addition, we organize and moderate conferences and seminars. We believe that individuals and businesses who are given training and support gain advanced knowledge, motivation, and overall performance and productivity. We offer a range of expert e-learning services to help transform training and development within institutions, organizations and companies: e-learning consultancy (defining goals and needs, determining strategies and solutions); content creation; digital marketing services; e-learning product, software, and platform content and pedagogical methodology review; opinion pieces of e-learning topics; research services; and blended learning strategies. Director of SPNC Learning & Communication Expertise, University Professor, Scholar, Visual Artist, Activist, and Writer. Dr. Pamela Chrabieh (also known as Pamela Chrabieh Badine) has an extensive 20+ year multidisciplinary and international experience and expertise in university teaching and learning, academic research, visual arts, art direction, communication, content creation, project management, training and conference/workshop organization. Dr. Chrabieh is the author of 8 books and hundreds of academic and web-based publications. In 2012, Dr. Pamela Chrabieh joined the SPNC team and developed new methods for gaining general knowledge and learning about bioethics. Furthermore, she contributed to the organization of collective training sessions for university entrance exams. In 2017, Dr. Chrabieh took over the management of SPNC and its diversification.